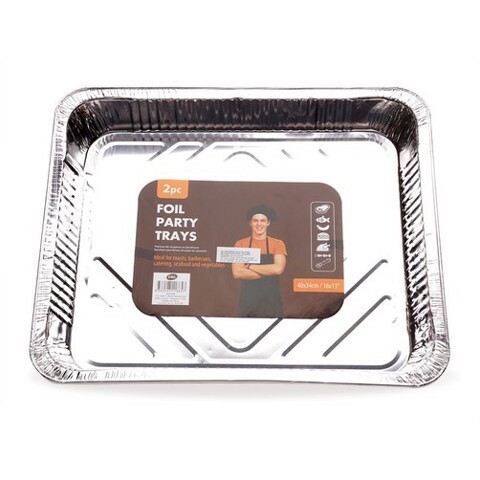 Foil Party Tray Rectangle 2Pk. 40 x 34 x 5cm. Silver Foil . Aluminium Foil. 0 Packaging: Bulk with Colour Label.